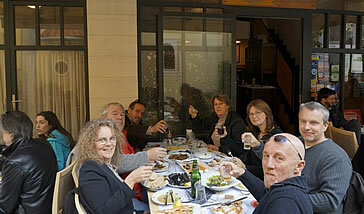 Whilst in Crete it is essential to try the local cuisine. Most resorts offer traditional tavernas where you can sample some of the homemade dishes on offer. 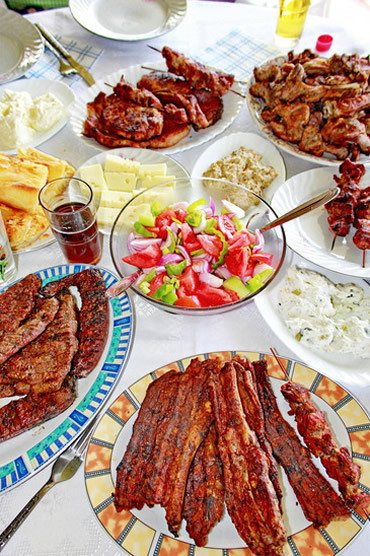 Many tavernas in the traditional villages inland will make their own cheese, wine and the local fire water Raki, which is traditionally served after a main meal with a few small homemade sweets. 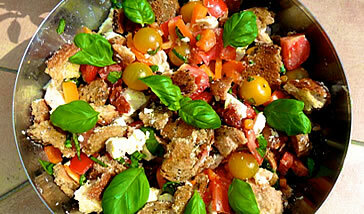 The Cretan diet is said to be the healthiest in the world with the Cretan life expectancy being the longest in Europe. The beauty of Cretan food lies in the quality and freshness of its ingredients, the use of wild herbs and greens, and purity of taste, together with the copious use of olive oil, Crete’s liquid gold. Dakos: A very typical Cretan dish. Rusk, a traditional dried bread that is baked several times and kept for months, is moistened in a little water, and topped with grated tomato, olive oil, cheese and oregano. Crunchy, light and full of flavour, it makes a perfect snack. Dolmades: Stuffed grape leaves, usually with a rice, herb and ground meat mixture. 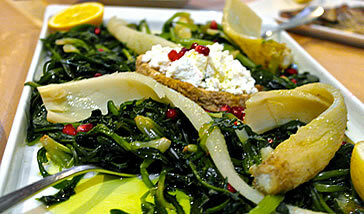 This dish is not specific to Crete and is popular throughout this side of the Mediterranean. Crete cheese: There’s certainly no shortage of cheese on Crete. Among the main varieties you’ll find: anthotiros, a sheep and goat cheese that’s mild and soft when it’s fresh and salty and earthy when hard; kefalotiri, a firm sheep or goat cheese, and mizithra, the typical fresh cheese of Crete made from sheep’s milk (and when made from goat’s milk it’s called katsikithia).